Regulations set in place to help fight climate change and protect Britain’s wildlife may be destroyed following the Brexit result, top environmentalists have warned. Reacting to the vote to leave the European Union, charity groups and climate change campaigners said the result could have a “devastating” effect on the UK environment, since more than 70 per cent of environmental safeguarding comes from European legislation. Will Brexit help or damage the environment? In an post-referendum statement, Friends of the Earth said the group could “no longer rely on the EU to protect our nature and habitats”, adding that clean beaches, air quality and bees were among the factors put at risk by potential loss of EU legislation. Those in favour of leaving the EU have argued that the UK may soon be free of “red tape” restrictions which are damaging to UK farms and fisheries, the latter being known to discard large quantities of dead fish into the sea to avoid breaking EU quotas. Remain campaigners, however have praised the EU’s record on environmental issues as one of its greatest achievements, arguing that union legislation has helped towards tackling water and air pollution, protect endangered species and impose tough safeguards on the use of genetically modified crops and potentially dangerous chemicals. While laws that have already been adopted into English and Scottish law will still apply following the UK’s departure form the EU, parliament will be able make changes should it choose. 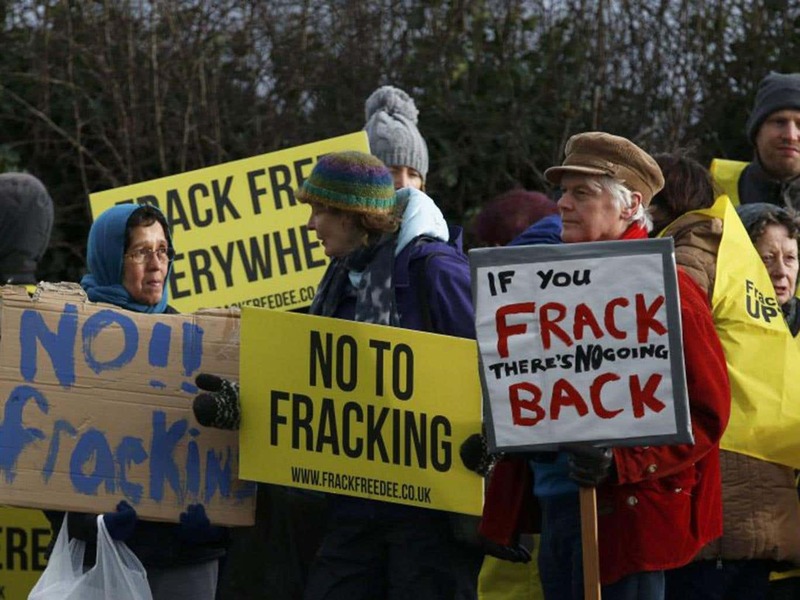 Rules restricting the amount of fracking could also be lifted, since the majority of restrictions come from European directives, Greenpeace analysis suggests. Green Party MP Caroline Lucas has called on progressive parties to “join forces” in order to “resist any attack on hard won rights” following Brexit.